Our September stop on our tour of Geneva Lake mansions built from the late 1800s and early 1900s , is Dronley the residence of Mr. and Mrs. W. J. Chalmers. They chose the name Dronley for their lake home as it was a reflection of the couple’s Scottish heritage. You may recognize the name of the large machinery manufacturer, Allis-Chalmers, but you will likely find Mrs. Chalmers maiden name of greater interest. 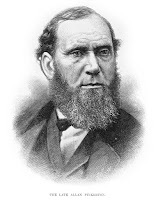 Her father was Allan Pinkerton, founder of the Pinkerton detective agency. He was also instrumental in developing and training the country's first secret service agents. 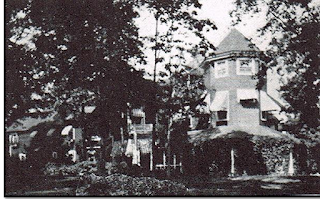 The large wood-frame home was built on property purchased from George Bullock, who was well known for his paintings of the Lake Geneva area. Prior to moving to the area, Mr. Bullock ran a photography business in Chicago. He lost all his paintings and photography equipment, etc. in the Great Chicago Fire of 1871, and moved to the property that was, and still is, adjacent to the Congress Club, a gathering of smaller properties owned by individuals. 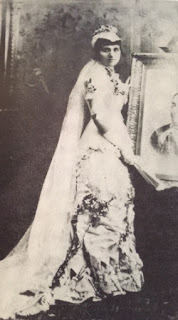 Chicago newspaper articles of the time often contain references to Joan Chalmers’ society doings and charity work, which continued no matter if she was at home in their Chicago mansion or at Dronley on Geneva Lake. While summering in Wisconsin, Mr. and Mrs. Chalmers entertained the movers and shakers in society and politics, including President Teddy Roosevelt’s Secretary of the Treasury. Over the years, several additions were made to the home, one including a basement and wine cellar. Like most of the wealthy inhabitants of the lakeshore, the Chalmerses owned a steam yacht that no doubt was used to ferry the family and their guests to and from the train depot in Williams Bay. Only eight years after purchasing the vessel, it burned and sank. That yacht was replaced by another well-appointed boat call the Passic. Both the Chalmers’ children, Thomas and Joan, passed away before their parents did. 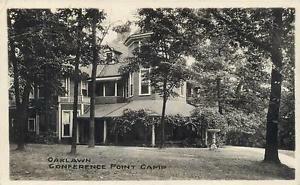 In 1919, Dronley was incorporated into Conference Point Camp’s property to the south and was renamed Oak Lawn. It still stands today and serves as a lodging facility for the camp. The Bullock home is still standing according to a shore path guide published in 2013. 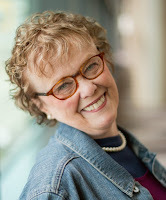 A native of Lake Geneva, Wisconsin, author Pamela S. Meyers lives in suburban Chicago with her two rescue cats. Her novels include Surprised by Love in Lake Geneva, Wisconsin, Second Chance Love, and Safe Refuge, Book 1 in the Newport of the West series, . When she isn’t at her laptop writing her latest novel, she can often be found nosing around Wisconsin and other Midwestern spots for new story ideas. Very interesting! I always enjoy information about the Pinkerton family. I have enjoyed your posts about Lake Geneva properties. Thanks, Sandy. I'm enjoying researching and writing about them. We're only about halfway around the lake, so there are more to come! I've been doing some research on the Dronley House and thought I'd drop you a line as I believe you might have information on the original owner of the property confused. 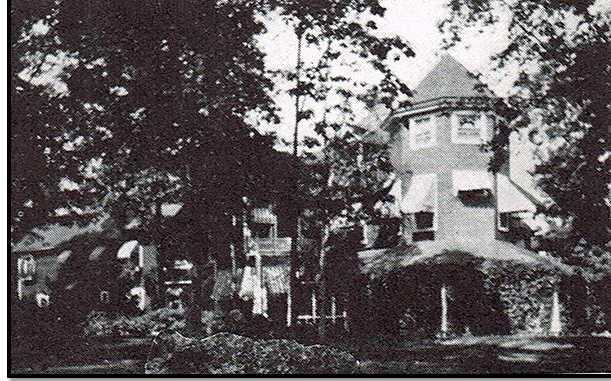 I find information indicating that the original house on the property was built in 1883 by a George Bullock, and either replaced or rebuilt by Chalmers in 1888 (Beloit Daily News ca. 1938). John Bullock (1835-1812) was the noted painter and stereoview photographer, he lived in Lake Geneva. Arthur George Bullock was his son (1877-1935) who was an assistant bank cashier in Lake Geneva. As far as I can tell John Bullock never lived in Williams Bay. I'm puzzled as to who the George Bullock is that owned the property prior to Williams J. Chalmers if I find out I'll let you know!